If you are a small fish in the big social media pond, you will be keen to find ways to get noticed. Whether you want to promote your new product or raise awareness of your brand, connecting with people who are influential within your target market can be an effective way of boosting your social profile. Engaging with industry influencers can be hugely beneficial for your business. Find out why.. But, as with most things, there are right ways and wrong ways to do it. Clue: “Hey @justinbieber @stephenfry @GaryLineker @BarackObama, please RT my new website!! !” is not going to work. Read on to find out why. When somebody who is influential in their field speaks, people listen, which makes them very appealing to brands and businesses that are desperate for some extra publicity. An influencer and their fans tend to be part of the same industry, too, so a signal boost from the figurehead is often extremely well targeted. Because of this, it pays to understand who the influencers are in your industry, and understand how to successfully connect with them. Anybody from a YouTube star to an industry spokesperson can be considered to be an influencer. If a large number of people listen to one particular person, take action when they speak, follow their recommendations, trust their judgement and pay attention to their thoughts and opinions, they can probably be considered to be an influencer. Vladimir Putin, Barack Obama and Xi Jinping are, according to Forbes, the most powerful people in the world. But these are not the kind of influencers you are looking for. Instead, you need to find people who are influential in the sphere you want to gain influence in. Twitter is well suited to finding and analysing people’s degree of influence in this way, and there are a range of tools designed to do precisely this. 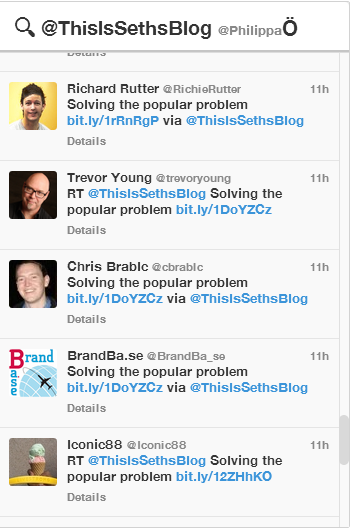 Tools such as SocialBro offer their users a really in-depth analysis into the profile of their Twitter followers. The gender and location of each follower is noted, along with their followed / follower ratio, how active they are on Twitter, and how influential they are. Users can then look at influencers in more detail. Filters on the left of the screen control which Twitter accounts are included in this section, and the results can be sorted according to a range of criteria. 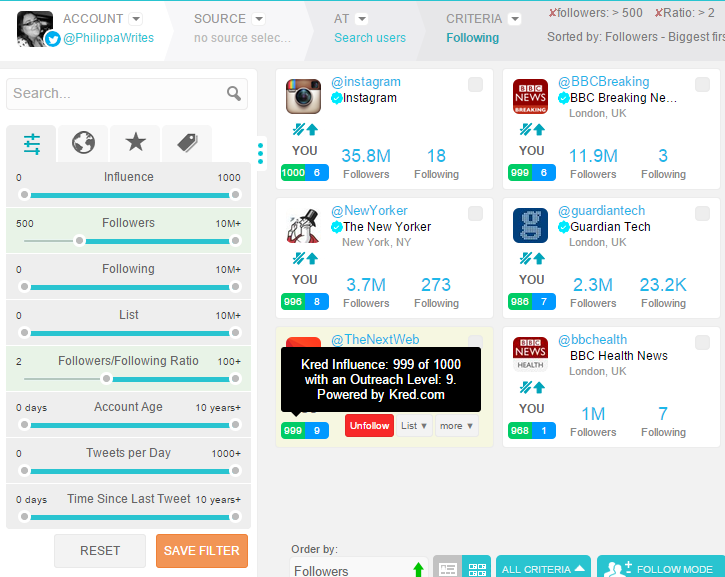 Twtrland allows Twitter users to segment their followers so that influencers’ profiles can be analysed. Users have the ability to sort influencers by location, gender, age and more in order to get more relevant details. 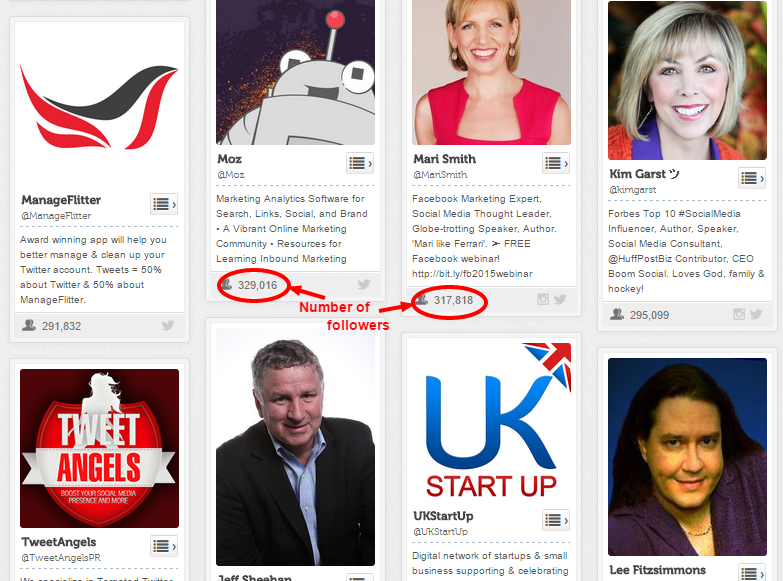 The sorting functionality helps Twtrland users to find the best people to reach out to. 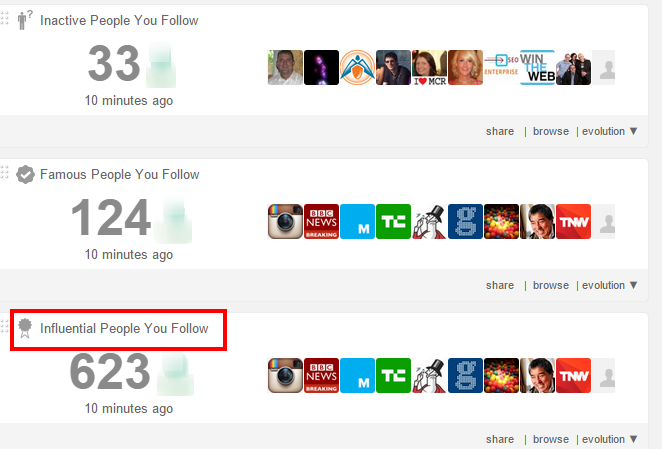 Followerwonk is a tool by Moz that Twitter users can utilise to get comprehensive information about people on Twitter. Followerwonk helps its users to determine how relevant an individual is within an industry, and measure the degree of influence they have. Sort followers: See a list of Twitter followers that is sorted according to the number of followers or accounts being followed, how old the account is, or its social authority. Kred and Klout are tools that purport to quantify social influence and, although neither is a perfect measure, they can be useful to keep in mind. Both Kred and Klout allocate social media users with a score that denotes how influential they are on social media, and both allow a degree of insight into the influence levels of other Twitter users. Once you have used one or more of these tools to find out who is influential in your niche, it is time to do something about it! Assuming you have already followed their social media accounts, you now need to start the process of making contact with them. There are some easy, initial steps that require very little effort. Begin the process of interacting with influencers by replying to and retweeting their tweets and sharing blog posts they write, making sure you mention them by name. This is a good start, but a quick glance at an influencer’s mentions shows that you need to do a lot more than that to stand out from the crowd. Asking them if you can interview them for a special feature on your website. At this stage, self-interest shouldn’t be your primary motive. You are looking to build a positive relationship with your chosen influencer, so you don’t want to blend into the melee of people who are vying for their attention. When you have spent time building a relationship with the influencer you have chosen to approach, start to suggest that they might want to share your content. As they are already familiar with you and your brand, they are far more likely to do this than if you had tweeted them out of the blue. It is essential to ensure that your content is extremely high quality. If they have started to value your relationship, they will not want to be embarrassed by being asked to share something sub-par. If they do share your content, show your appreciation with a tweet or direct message to say thank you and keep sharing their content in return. Don’t abandon the relationship now you have achieved your goal; instead, nurture it so that it continues to grow and develop. The benefits of engaging and connecting with influencers go beyond the short-term boost of a supportive tweet or enthusiastic Facebook share on their part. Influencers know their industry inside out and they will offer insights and connections that would normally be impossible to access. Make your communications mutually beneficial and prove yourself to be more than just a hanger-on. The results you see will be impressive. Do you network on Social Media? How do you look to start relationships with influencers in your industry? We’d love to hear from you in the comments below.